← Café Sodom: Yes… and much more than that! I am making constant efforts to expand my horizons and explore cafés outside Södermalm. Believe me, it is not that easy. Of course, I found a few fantastic cafés in other parts of the city, like Kura and Esaias. But it would be so easy to stay in my neighborhood and live in my own world. That wouldn’t be fair. 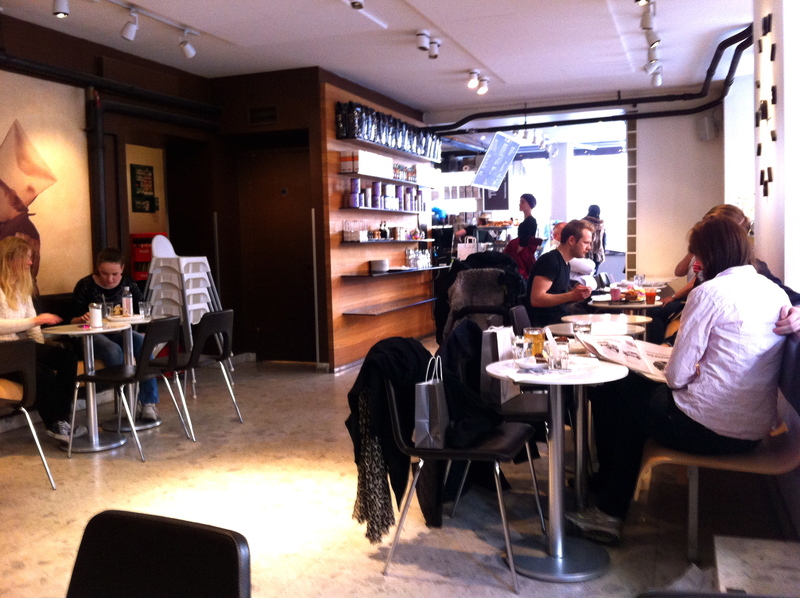 So this morning I decided I would have coffee in Östermalm, an area which I usually avoid. Mostly because I am not a big fan of the night crowd there but I know that I can’t really judge cafés based on night clubs in the same area! As I was having breakfast in Gamla Stan at one of the rare places where one can get eggs benedict, I was reading this nice, free magazine “Totally Stockholm” which featured a section on Stockholm’s best cafés. 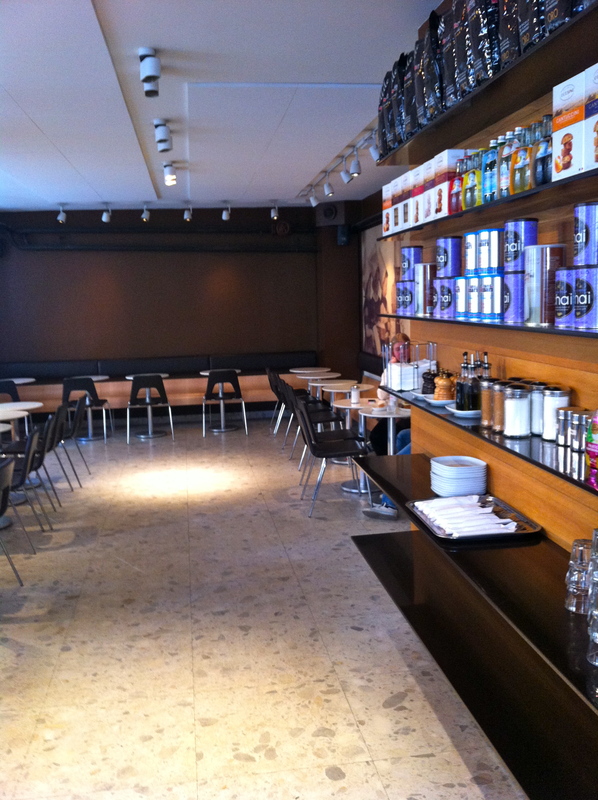 Totally Stockholm listed the following: Drop Coffee, Kafé Esaias, Johan & Nyström, Kura, Kaffeverket and Cocojava. As I was thinking that I had been to five out of six of these cafés, I noted that the review for Kaffeverket was for the one located on Snickarbacken. 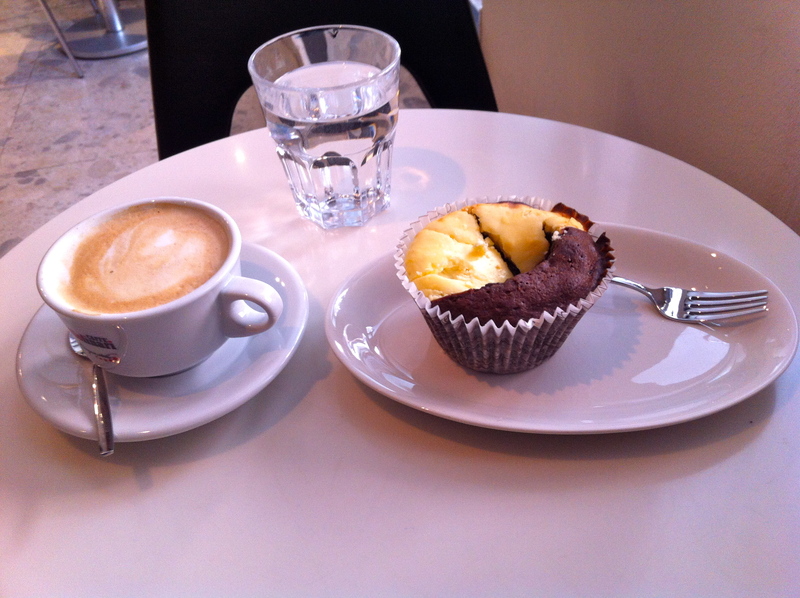 I therefore decided to pay a visit to Kaffeverket. However, that was without taking into account my stomach. You may have noticed that I sometimes use this blog to brag about running. To be fair, I also admitted that I was in reality a very slow jogger. Nonetheless, one of the great advantages of running is that I feel much less guilty when I eat too much. And on my way to Kaffeverket I passed in front of Muffin Bakery! I did not really know what to expect but I needed coffee and I thought I’d make a quick stop before going to my destination. That was until I walked in the bakery. Spring has finally returned to Stockholm today. We thought it had arrived a few weeks ago but winter would not let go so easily and we had a couple more winter weeks recently. When I walked in, the café/bakery was mostly empty, with the only customers sitting outside at the two tables on the sidewalk. After many long minutes of hesitation, I decided to have the “Brownie Cheesecake” muffin with my cappuccino. Wow! 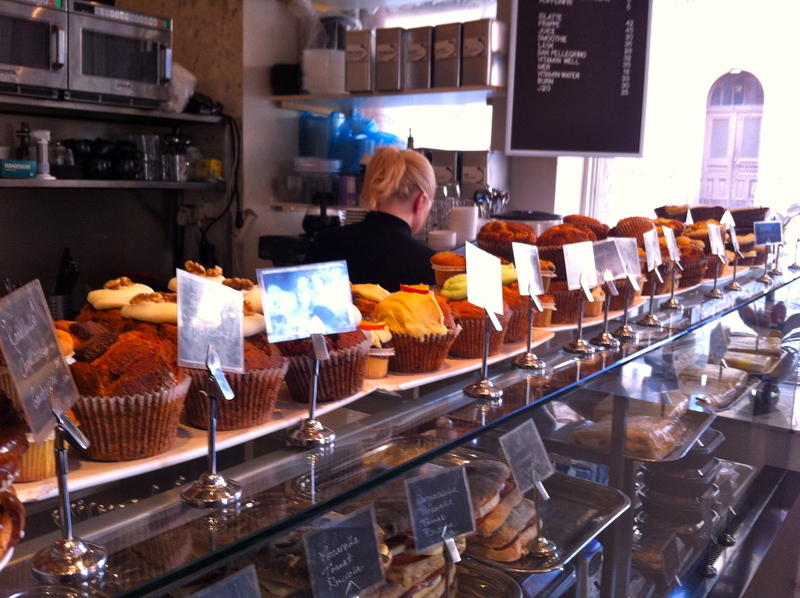 I have now been in Stockholm for over 6 months and I had my first good muffin yesterday at a work meeting. I did not know where the muffins came from. Now I am pretty sure they were from Muffin Bakery. The same quality! To be honest, I don’t even remember how was the coffee. And to be totally honest, I did not really care at that point. The muffin was excellent and the place was filling up, adding to the nice atmosphere. I might not remember the coffee, but I know that I will go back to Muffin Bakery for the muffins! I wouldn’t say no to that, haha! What a cool find! Muffins are a big part of the diet in our household – glad you found a place where they are good! Muffins were also a big part of my diet in Canada… I suspect they might do a comeback now that I found Muffin Bakery! You’re thinking of opening a Muffin Bakery in Barrhaven?